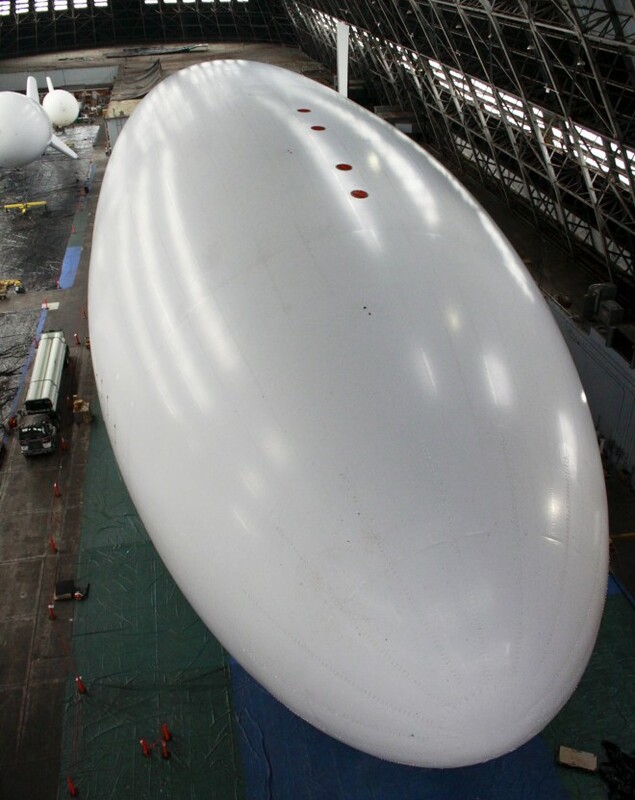 The optionally manned airship — known by the cumbersome code name of “Blue Devil Block 2” — was first inflated with air in early September. Last week, at a hangar in Elizabeth City, North Carolina, the blimp was filled with helium, and began to float. By the middle of next year, the Air Force hopes, the airship will be hovering in the skies over Afghanistan, where it will use a supercomputer and a pile of surveillance gear to look down on the battlefield — 36 square miles at a time. “It could change the nature of overhead surveillance,” said retired Lt. Gen. David Deptula, the former Air Force intelligence chief now in charge of Mav 6, the company building the blimp. If the thing works as planned, it’ll park itself in the air for five days at a time, at a height of 20,000 feet or more. Wide-area cameras and advanced eavesdropping gear will be able to watch (and listen) to militant suspects for miles around. Information on their location will be beamed down to U.S. forces with a laser. Like everything else in this project, that laser will be gigantic. Meanwhile, Mav 6 has begun a push on Capitol Hill to make sure Congressional support for the $211 million project doesn’t drift away, either. 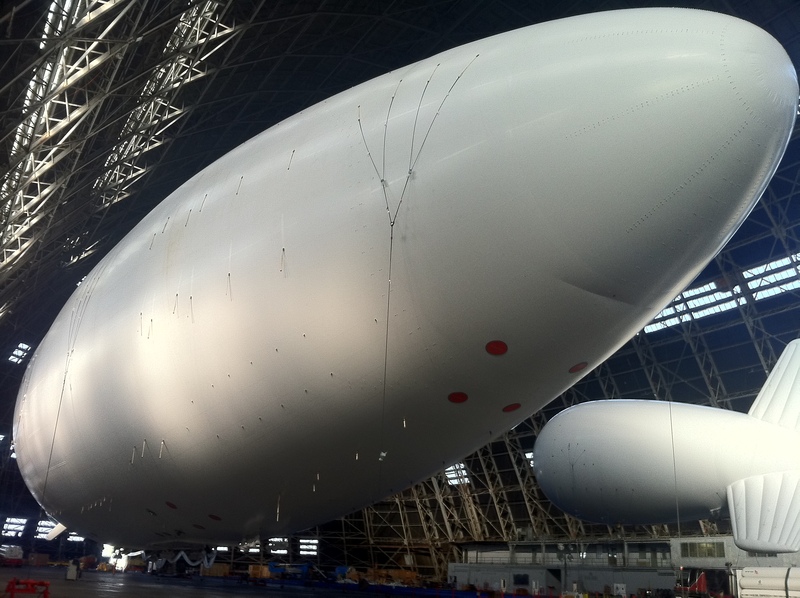 Blue Devil is one of two mega airship programs the military is funding. And in an increasingly-tight budget, Hill staffers are wondering whether that’s one too many.